With our great pleasure we at Parnita’s Cakes & Catering would like to make a beautiful cake for your occasion. All our cakes are baked fresh and frosted with our special Bavarian cream. 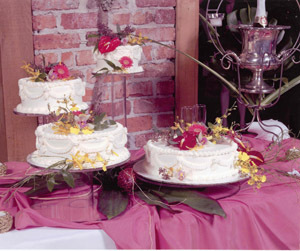 Your choice of flavor and filling from our scrumptious selection we will design and decorate it for you.